"Think left and think right and think low and think high. 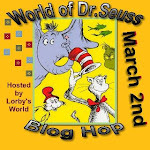 Don't Hop on Pop but hop on top of the Dr. Seuss Blog Hop, where a bunch of talented people came up with their own interpretations of the wonderful imagination of Dr. Seuss. The sky's the limit when you have an imagination like Dr. Seuss and talent like those in this hop. Our hop today is hosted by Jearise in Lorby's World and that is were to begin if you've happened here by chance ... otherwise continue on, my friend. Jearise in Lorby's World has some fun blog candy for this hop. She has a stuffed Cat in the Hat and a fun Thing 1 and Thing 2 craft, plus a $10 gift card to Michaels. She says they're silly but what else would you expect when you're following in the steps of Dr. Seuss? 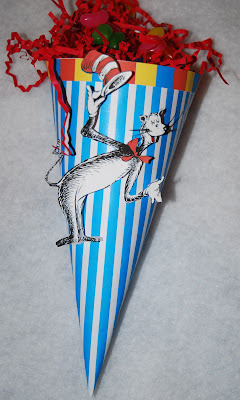 Now here's what I've been monkeying around with -- goodies for a Seussical party! on line, from the Etsy shop of Mindy Goldberg. Illustrator Program and printing on my home computer. my granddaughter's Dr. Seuss Club books. I pop-dotted the Cat in the Hat to stand above the cone. colored with blue and red Kool-Aid! to the size I needed (4" wide) for a bag topper. Martha Stewart double loops punch. This blue medicine bottle was literally snatched from the trash! (When will my hubby learn never to throw anything away!!? I made the label for the anti-grumpy "pills" on my computer. These are made using Seuss art, sayings, etc., all from the Internet. I created them in Adobe Illustrator, printed and laminated. 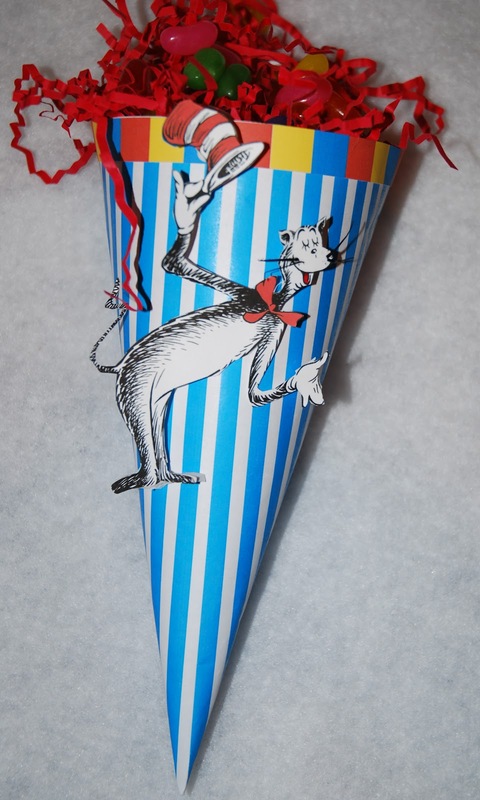 BLOG CANDY: Would you like some of the Seuss treats for yourself? 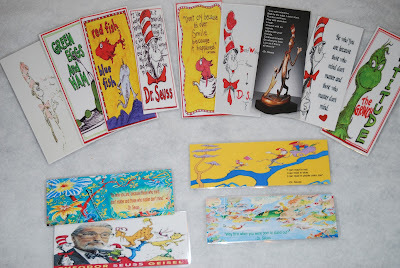 I'll be giving away the bag of Red Fish and a bookmark or two to one lucky person who follows CardMonkey and posts a comment here to this Seussical blog post. ― Dr. Seuss, "Oh, the Places You'll Go!" Get on your way to: Your next stop is my JAMIE at http://myamusinglife.blogspot.com/. If you get stuck behind the great parade down at Mulberry Street, Hop on back to find the full Blog line up on the Great Thing-a-majigger: Jearise - http://lorbysworld.blogspot.com - Your hostess, serving up Green Eggs and Ham! 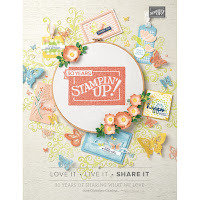 Great party ideas, love them all! Fabulous projects!! 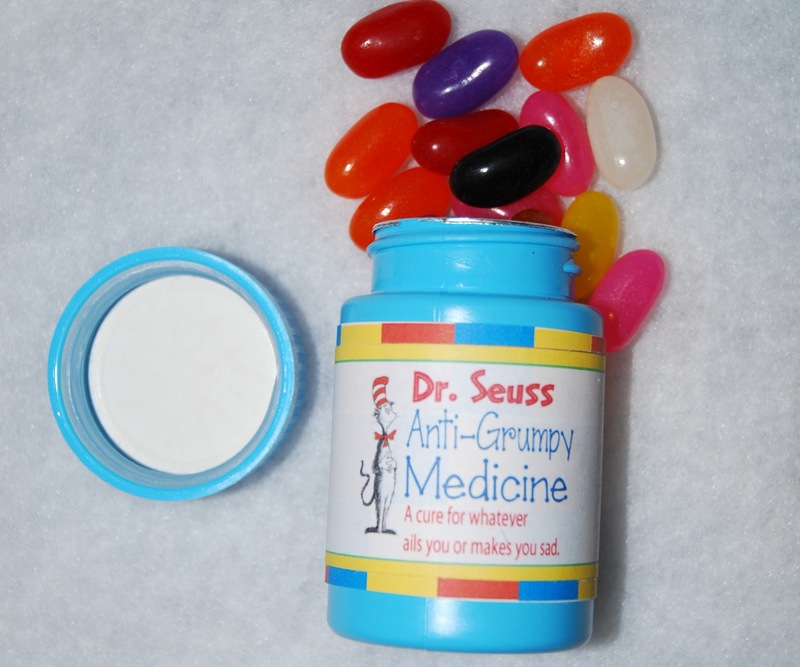 I LOVE the "grumpy pills". That bottle would be a hoot to keep at the office. LOVE all of your amazing creations! My favorite is... hmm... all of them! LOL :) Thanks for sharing! I am a follower and would love it if you checked out my blog and did the same if you aren't already at ACreativeJourneywithMelissa. blogspot dot com. Have a great weekend! as always, so very clever and cute, Ellen. Thanks for sharing. I adore your projects - those bookmarks are especially neat to promote reading at the library - TFS! And the reading on your blog is delightful!! You always make me smile Ellen. Your projects are awesome, I love them all. Always nice being in hops with you. I love these! I may have to pin them so that I can remember them for next year. I work at an elementary school and the kindergarten and preschool classes always celebrate Dr. Seuss's birthday. These would make great party favors. FABTASTIC!! I'm a new follwer now. You did such a wonderful job with all your projects. I want to learn how to use the Adobe Illustrator. I love your grumpy pills. These are such cute Dr. Seuss ideas. Thanks for sharing them with us. Ellen, such sweet projects!! My kiddos and I celebrated Dr. Seuss's birthday by seeing "The Lorax" last night!! YAY!! It was SO FUN... Hey... You should enter these projects in the challenge over at Decorate To Celebrate (decoratetocelebrate.blogspot.com) for the Boy challenge (must use blue) -- Dr. Seuss is a boy and you used blue (and these are definitely party supplies!!). I love all of your projects! I will definitely be making some of these for my kindergarteners next year! How absolutely adorable your Dr. Seuss projects are --- I love love love red fish!!!! The bookmarks are adorable and love your creativity with the Dr. Seuss pills! As always, a pleasure hopping with you! You've made my week-end complete! 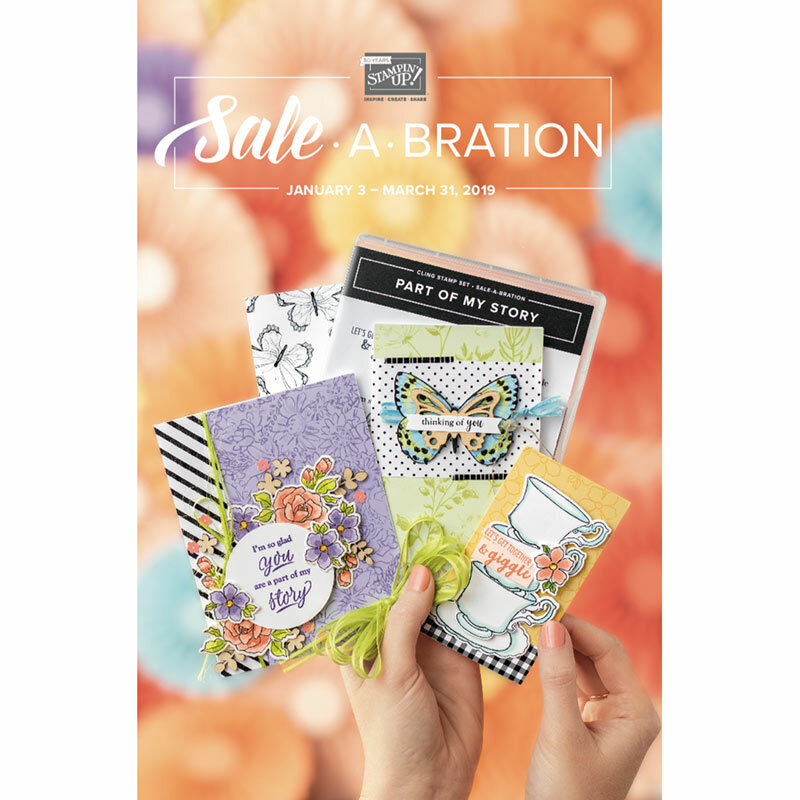 I LOVE hopping through your blog with soooo many fun, unique, creative things to look at. You are 100% FUN. I'd love to meet you! Thanks for the explanation of the Prilosec!! I'm late making my rounds but want to tell you that you are one creative lady and always have the most fun and unique things in hops. 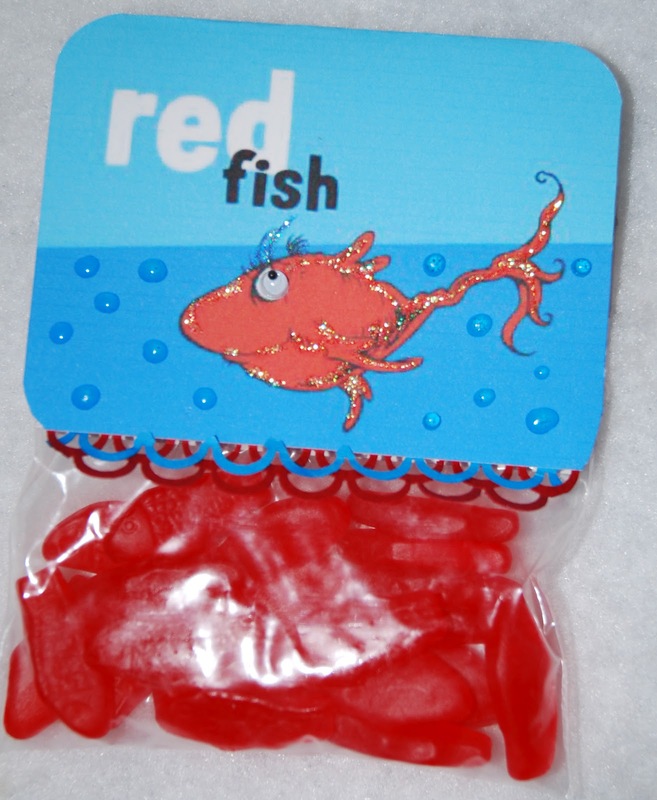 I love your red fish and the jelly bean pills. How cute! Thanks for being part of this hop. I so appreciated having you on board. Jearise in Lorby's World.